You are at the park playing fetch with your dog. You are on a plane reading a magazine. You are at the salon getting your nails done. You are at the grocery store buying dinner. Undoubtedly, throughout your daily activities, you encounter a moment where you are put in the position to be a pit bull advocate. You might overhear a conversation, be asked directly, or simply have it come up in a discussion. So what do you do? This is a question that I get a lot, so I thought it worthwhile to put together a short “intro” course for those of you interested in helping to set the record straight, but not exactly sure where to start (or those of you who are already actively advocating, but need a few pointers to be more effective). Be Aware: So the first thing to do when faced with any situation in which you are serving as an impromptu pit bull ambassador is to stop, take a deep breath, and put yourself in check. This is an emotional issue on both sides of the line. It is very easy, especially if you have a pit bull as part of your family, to take things personally and let your emotions overwhelm your intellect. Please don’t. By letting raw emotion rule the roost you will not accomplish anything beneficial for yourself, the person you are talking with, other future advocates and, most importantly, the dogs. Sure, the love you have for your dog is important, but not if it prevents you from talking logically and laying out important facts, figures and talking points that can help the other party also look past their immediate emotional response and open themselves to the new information that you are bringing to the table. Please know yourself and your limits when it comes to this; if you are unable to separate your immediate emotional response from your attempts to help change public perception about pit bulls, then know it is OK to just walk away. In fact, it is better to walk away. Acknowledge: Acknowledge the other person’s point of view. Please don’t vilify them in any way just because their exposure to pit bulls has been limited, they’ve had a bad experience personally (or know/have heard of someone who has), or have a knowledge base which has been completely developed off of media sound bites and scare stories. Please try to put yourself in their shoes. All of us have fears about something that might very well be unfounded, but that doesn’t make them any less real to us. Just because their fear is not your fear doesn’t make it any less scary. If the person you are talking to has been a victim of an attack or has a dog or family member who has been, start out by expressing your sincere condolences for this fact. Again, put yourself in their shoes. Arm Yourself: Know your facts and be prepared. Pretend that you are in debate club at school and the debate topic for the national championship. Would you go in completely unprepared with facts, figures and talking points that were both defensible and emotionally and intellectually resonate? I hope not. We have a whole site of information and resources that you can use to help you prepare yourself, as do BADRAP and Animal Farm Foundation. I recommend you pick out three to five really key talking points and/or facts that you master, and use those consistently to make your points. For example, I normally start with bringing up the fact that dogs labeled “pit bulls” are not actually a breed, but instead a grouping of dogs with similar physical characteristics. So basically, a stereotype is being applied to a group of dogs simply because of how they look. This tends to automatically break people out of their fixed mindset because it cuts down on their ability to categorize and immediately alerts them to the fact that their entire foundation for thought about pit bulls was incorrect. I move forward from there. Really, it is important to see what works for you. What do you feel comfortable talking about? What do you feel are the most important talking points based on discussions or issues that have come up in your community? I feel the need to add another warning here about not letting emotion interfere with your ability to provide clear and useful facts. I often find that loving pit bull guardians *think* they know a lot about the dogs and the bias, but actually what they know is that they love their dog and like to snuggle on the couch with him/her or watch them do goofy things. Which is fantastic, but not quite the type of persuasive information needed to effectively be an advocate. Arm them: Obviously you are not going to provide a full and complete re-education to the person you are talking to in one discussion, nor would you want to. This is why I encourage you to pick around three clear and persuasive points to share with them. It gives them enough to start to re-evaluate their stance, but not too much to overwhelm them. However, you want to be able to provide them with the ability to find out more on their own, and guess what? That’s what StubbyDog is here for. Send them to our site. We will hopefully soon be selling postcard-sized “advocacy flash cards” that you can carry around with you, or simply write our URL down on a piece of paper or the back of your business card (so they can reach back out to you as well, if needed). I know a lot of you use us as a referral source in this way already, and we definitely encourage you to do it as much as possible. I can’t tell you the number of e-mails I get on a weekly basis from people who have been referred to our site and are grateful and excited about the change in mindset and release of long-held false fears that our site helped them accomplish. Accept: Guess what? As great as your argument might be, as passionate as your intention, as well balanced and knowledgeable as your talking points, sometimes you won’t be able to change someone’s mind. This is just the fact of life. Please know when to walk away and then do it. Have faith in the fact that there are a lot of minds that are ready to be changed, and there are some that just aren’t there yet. And also realize that even though it may appear that you didn’t get through at this point, your message will most likely continue to resonate in the back of their heads, just waiting for the time when the right additional stimulus triggers them to re-evaluate things. You can’t always see the difference you make, but move forward confident in the fact that every time you chip away at some of the long cemented false stereotypes about pit bulls, we take a step forward in an overall change in public perception for these dogs. So let’s hear from you. What have you found to be most effective in your advocacy efforts? What problems do you find hardest to overcome? What makes you nervous about the process? What makes you excited about the process? LOVE this, Laura! It’s a great thing for us to be armed and ready when we get the chance to talk about our beloved dogs! Sharing this on The Lazy Pit Bull Facebook page! @christielici0us Thanks so much Chrissy! Great, GREAT article! 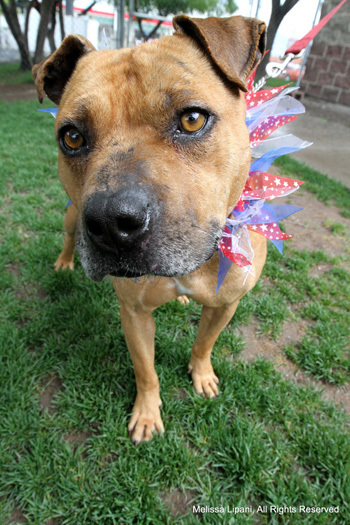 I work with the dogs at Austin Animal Center (which is mostly pit bull-type dogs) and own a wonderful shelter pit. Unfortunately, when visitors come to the shelter, most are either not allowed to have pit bulls because of their landlord or they simply buy into the bad rap these dogs have. The most effective argument I’ve used is the real statistics concerning these dogs-how they have an 86% passing rate according to the American Temperament Testing Society (better than retrievers/border collies), how their bite stats are actually very LOW, and the history of pit bull types. The evidence that gets them most is the utter LACK of evidence that pit bull types are inherently more aggressive than other dogs. Above all, a little personal experience helps a lot-I have had my pit bull for 10 years. I grew up with her. As an old lady, she knows watches over foster puppies and kittens (the <1 lb kitties get away with murder!). The hardest to convince are those that have had a bad experience with a pit bull type. I myself have been attacked by a dog (a doberman) and share my experience, plus all the great dobes I’ve worked with now. At this point, they typical admit it’s an irrational fear or are even open to meeting a gentle pit bull. The only thing that makes me nervous (and admittedly angry) is facing the hateful anti-pit bull people-when they tell me my dog is a time bomb that needs to be destroyed, I can’t help but be emotional. This dog is my FAMILY, and I don’t take someone wanting my family dead well. 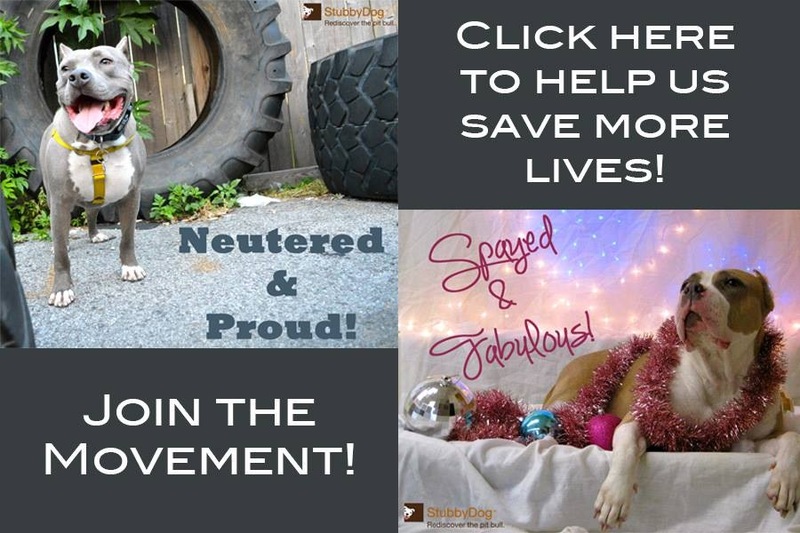 Despite it being somewhat nerve-wracking, very emotional, and difficult to face, being a pit bull advocate is VERY important and extremely rewarding, especially when a former pit bull fearer becomes a pit bull lover (sometimes even an owner!). @shyfox Sounds like you are doing an excellent job advocating. Thanks for sharing what has worked best for you. I also commonly use the ATTS test scores. I try and steer people away from dogsbite.org statistics and help them apply those to the big picture. Yes, in a three-year period Pit Bull types were responsible for 32 deaths.. BUT the population of pit bulls is massive and has been cited from anywhere to 3-8 million dogs. So, I try to explain that the majority of the breed are very good, well behaved dogs, and that all dogs will and can bite; some just do more damage to others due to size and other circumstances. And I always send them to this site and the many other wonderful pit bull advocate sites with much more helpful information than I can give. @honeyremedy I agree that really breaking down the #’s and also helping them verify sources is very important. Great work! AWESOME article!! Every opportunity I get I use it to educate about this wonderful bully breed. My sister said best “Sasha & Krush have changed her perception but not her mind” meaning she’s not as fearful of “pit bulls” she understands why they’ve been misrepresented but she doesn’t see one in her future which is ok. We’re not here to say you must have a pit bull or a pit bull type of dog to advocate for them. It’s about education, when you know better you tend to do better. Thanks Laura! 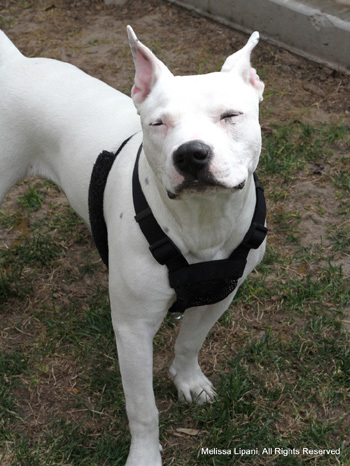 This article is clear & concise, and it is simply an outstanding place to start learning how to advocate for pit bulls. The first point spoke volumes to me, because I get super defensive about pit bulls, and I KNOW I need to check myself! I volunteer at one of the busiest shelters in LA and we have a huge pittie population, and I have had my own pit bulls and currently have a foster pittie girl. Absolutely love them! One thing I would request that you go into is when you’re walking your pit bull down the street, either in a residential or business area… I can’t be the only one out there that has had people hurriedly gather their small children and teacup dogs into their arms, and maybe even cross the street! I take WAY to much offense to this, as reactions like this could also be attributed to their own dogs being ‘aggressive’, or they could be crossing the street for any number of other reasons. But of course I always feel like they see a pit bull and panic, and then I get annoyed. Now, if the other person just crosses the street, you obviously won’t have the opportunity to speak with them about pit bulls. However, if they brave it and stay on your side, sometimes they might duck into a driveway to get out of your way, or maybe pick up their dog, etc. If you pass them and they actually are willing to say hi, it can create a WONDERFUL opportunity to ‘show off’ how sweet and friendly pit bulls can be! However, if they refuse to make eye contact, or are otherwise giving you the impression that they just want you to pass them and move on, is there anything you would recommend saying to get them to think about the situation? Or, is it better to just keep walking? What I mean is, sometimes if that happens I will say “She is actually super friendly!” as I’m passing them, and if I’m in a more annoyed mood, I might say “She is actually friendly, if you cared to know!”. I’m sure the latter response isn’t as good, but what do you think about responding to these people when you come face to face? Thank you for your great insight and for tirelessly promoting these wonderful doggies! @LeanneMacdonald I can’t comment as to people walking alone, but people crossing the street with their dogs – I wouldn’t take offense to that or assume it’s because your dogs are pitties. With small dog owners, it may just be the size difference. If I had a tiny dog I’d be cautious about approaching strange dogs that are much larger, no matter what the breed. I often cross the street with my dog to get away from other dogs. It’s not about the breed, though, it’s because most of the other dog owners we meet while walking aren’t in control of their dogs or think our dogs MUST meet. My dog is what you’d call “dog-neutral” and I don’t want her having too many unpleasant experiences with other dogs. And I feel that she doesn’t need to meet every other dog out there. @The DIY Dog @LeanneMacdonald You make some very valid and good points. One StubbyDog staffer has a DINOS (Dog in Need of Space) and will cross the street to avoid getting close to another dog. Thanks for lending another very important perspective! @LeanneMacdonald Great question! First of all, I agree that I would definitely be careful with assuming that these reactions are simply because you have a pit bull. People could just not want to talk, if they have a dog they might just not want to deal with the dog/dog interaction regardless the type of dog, their dog might be reactive. There are a ton of reasons. I know often when I’m walking the dog and see another dog walking toward us, I’ll move across the street or out on the road simply because I don’t know what the other dog is like (regardless of type of dog) or if I”m in a hurry and don’t have the time to stop and let my dog say hi. So, I guess my biggest caution would be to be careful not to make a situation out of your own sensitivity (which of course is completely understandable). I’d say the best thing to do is simply ask, “My dog is friendly, would yours like to meet? ?” or something to that affect. Open the door for them and see how they react, you can best determine how to move forward from there. Thanks for bringing this up, I think this is probably an issue that alot of people encounter in their daily activities! I have three dogs, two big and one little. One is 74lbs, the others are 90lbs and 44 lbs!!! I have two pitties, one is 90lbs, and the itty bitty pittie is the 44lb one! My other one, they say he is lab, rottie, rhodesian ridgeback and pit bull!!! I say he is a lovable dog, one of the gentlest souls you will ever meet! My 90lb, (Bentley bear) is my big pittie, he is the happiest dog you will ever meet, loves everyone and everything, he is also CGC!!! Now it is the little one that needs the most work, as she was thrown into the woods, starved and left to die, but after having her for one year she has already made tremendous progress!! All these dogs are rescues, LOL!! yes they rescued me!!! Yes, they have been my greatest teachers, especially my big guy. I never in a million years thought I would end up with a pit bull or two……or three!!! This is what I do with him, for him and for all the pitbulls that are so unjustly bullied and abused, mentally and physically!! I take him everywhere. When he can not be with me physically, I have pictures of him, the before and after, the good, the bad and yes, the ugly!! He was a mess when he came into my life, but now he is the most beautiful dog inside and out!! He was always beautiful on the inside!! When we walk, he has a great back pack that he wears proudly, he loves attention. He and his brother walk by my side, one on one side, one on the other. I always bring them where there are alot of people, riding bikes, families with children, couples, and lots of other dogs. What I do is everytime someone comes toward us on the other side, I make both dogs sit, until they all go by, it is a matter of respect and more times than not, most smile and tell me how behaved they are!!! Some want to know if it is OK to pet them, while others comment on Bentley and his backpack, the backpack does wonders for so many, it breaks the ice for so many adults. Some ask me what he is training for, or if is he a working dog, the questions and the smiles are many. Yes, there are some people that will always have their own issues, but my dogs touch so many lives because of their wonderful behavior and that is what we need to do, is to keep changing one mind at a time, the ripple effect of a smile and a great experience is not only wonderful for me and my dogs, but it does wonders for the ones who were lucky enough to encounter these wonderful dogs!!! @Doreen Medeiros Doty Thank you so much! This is another wonderful example of simply letting the dogs ‘speak’ for themselves. Great work! Give them all hugs for me! I have an Am Staff who is almost 3. He serves as my medical alert dog so he goes EVERYWHERE (work, school, doctors, restaurants, literally everwhere) with me. Advocacy is a daily occurance in my world. Its sad to say, but I’ve almost become “used” to the nasty comments, stares, screams, leers, and running away because it just happens so darn often. I don’t get offended anymore, most of the time the people I am with (friends, family, co-workers) get more offended then I do. If I got upset everytime I came across someone who didn’t like my dog I’d spend a majority of my time upset, and I’m not willing to do that. I’ve got hundreds of examples of the ignorance of people, but I’ve also got hundreds of examples of opportunities that I used to educate people about pit bulls. I usually stick to the facts when speaking, but I let Goliath SHOW them what a real “pit bull” is like because his actions speak louder than I ever could. My all time favorite “education” moment was when a woman who was in her mid 20’s came up to me in a store, I could tell she was super nervous, she explained that she was absolutely terrified of dogs (all dogs) because she had been attacked when she was younger. She timidly asked if she could pet Goliath because he just looked so “sweet” and “nice” and for some reason he didn’t scare her as much as other dogs she had met. OF COURSE SHE COULD! And she did, and in the middle of her petting him (while smiling nervously) I broke the news to her that she was petting a “pit bull.” Her eyes widened…”NO WAY!” Yup. She had me take a picture of her petting Goliath so she could show her mom that she actually pet a “pit bull.” How ironic that the dog that society and the media says she should fear the most is the dog she feared the least in reality? Another good one happened just this weekend. I was buying girlscout cookies from a brownie troop. Of course all the girls LOVED Goliath and were mooning over him and petting him. One of them asked what kind of dog he was and I said he was a “pit bull.” She replied that she had read an article in a magazine that said “pit bulls” should be banned because they were “bad dogs.” I asked if she thought Goliath was a “bad dog” and she said no, he seemed really nice, followed up by “maybe the article was wrong.” Then one of the leaders chimed in that it wasn’t the dogs that are bad, its people that make them do bad things. Yes! I’d love to have you share some of your stories with our community. I think you could serve as a wonderful example for many just starting out as advocates. Email me at [email protected] if you are interested in doing a story about some of our experiences. I’ve already done a story for you guys; http://stubbydog.org/2011/11/david-and-goliath/ But I’d be happy to do more if you’d like! @davesprettylady Thank you! We are currently training our baby Sable (see https://www.facebook.com/SablesJourney) to be a mobility service dog for my wife, who has stage 4 OA. Seeing your story make my heart a little lighter knowing that it has been done and we can succeeded if we keep going. One comment I heard about ‘pit bulls’ and why they are chosen to train to fight, is that they want so badly to please their owners that they will do anything. I think this explains: 1) why they end up with the reputation that they do and 2) they are fabulous family pets. I have a wonderful pittie mix rescue that I wouldn’t give up for anything. i have learned to most of the time ignore peoples comments.the two problems i have found hardest to over come are.when we run across people who say that they are scared of my dogs because of breed and what they have read in the press.Even though my dogs are in the sit position and totally none reactive during these encounters. which leads to the second problem or hurdle. I can only reply ,Why would you say that these are pit bulls do you see my dogs acting like that. they try to sneak off,they have no reason or excuse to say that and know it.It still gets to me. @skreidle Don’t forget the American Bulldog — I have one of those, as well as a “pit bull” and two “pit bull” mixes, and everyone thinks she is a big leggy pit bull — but the behavioral characteristics are different.